Hautlence is Swiss watch brand, that was founded in 2004 by Renaud de Retz, Guillaume Tetu, Jean Plazene, Jean-Christophe Chopin and Alain de Forges. 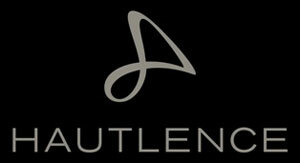 They created an interesting name for the watch company – Hautlence. It is an anagram of "Neuchatel", a symbol of traditional Swiss watchmaking. The brand name once occurred to Guillaume Tetu, when he went by train to Neuchatel, and during the trip he played “Blockhead” along. The founders chose the Mobius strip as a company's logo. This strip looks like the symbol of eternity. During the creation of the watch movements, Swiss watch brand worked closely with such suppliers as Gullod Gunther company, that produced watch cases, with Tschumy & Barben (located in La Chaux-de-Fonds), that manufactured baseplates and bridges, and with watchmakers from Labarga, who were involved in movements' decoration. The founders of the company have always observed the most rigid rules of Swiss watchmaking. Hautlence watch brand released such collections as "HL", "HLS", "HLQ" "HLC", which are characterized by a three-dimensional indication of time. The 3D image was achieved by using the multi-level indicators. One watchmaker is working from start to finish on each model. He is responsible for the quality of his watch, and signs the quality certificate. Hautlence wrist watches are tested in 4 position (one day for each position), and the final examination is carried out in the Cyclotest machine. A case of Hautlence watch is far from being standard. The indication of time is also unusual. "Jumping hour", retrograde minutes and a rotating disk with 60-second counter at "5:00" features Heutlance wrist watch. A locomotive lever rotates and retrograde minute hand returns to "0" on the scale. It happens every 60 minutee, i.e. once an hour. According to Guillaume Tetu, the most important thing for his watch is the lever. He has been fond of locomotives since his childhood and has dreamed of creating a watch with locomotive lever. For this purpose it was necessary to create a complex module with a separate spring. The spring accumulates energy and then disbandes, while turning the disc of "jumping hour" and the lever. This module unriddles some watch problems, such as the constant force and the elimination of the excess pressure and premature wear of the movement. Retrograde minutes and the "jumping hour" set thinking about the problems such as where to get energy and how to improve the accuracy of the watch. So, the watchmakers created a difficult module, which is on the move when the axis of the minute hand with a detent has come full circle. All of these important elements were made with the help of photolithography by a large watch company the name of which is kept a secret. Almost all of the details are easily viewed, so they must have precise dimensions and immaculate design. The watchmakers has successfully coped with this task too. There is no dial in Hautlence watch, it is replaced by the sapphire crystal plate with the thickness of 0.6 mm. The watchmakers are working on the case the same time as on the movement. The company uses a thick sapphire crystal, which has an anti-reflective coating from the inside. Watch cases are made of titanium and platinum with DLC, that "saves" the watch from any scratches. Hautlence watches are released in limited editions of 88 items. Swiss wrist watches have the movement with manual winding, manufactured by Hautlence's watchmakers. The cases are made of titanium with black PVD, a bezel and a crown is made of in 18K white or rose gold, the watch glass is a sapphire crystal with anti-reflective treatment, the straps are made of crocodile leather. The watches from the "HLQ" and "HL C" collections have round cases. And according to the watchmakers, the watches from the "HL", "HLS" collections have cases that represent a combination of a square, a circle and a barrel. The founders consider their product not just a watch but a sculpture, that surprises and amazes all the clients and the connoisseurs of watchmaking. You can buy Hautlence watches in numerous watch boutiques located in many countries around the world, or you can make an order online.